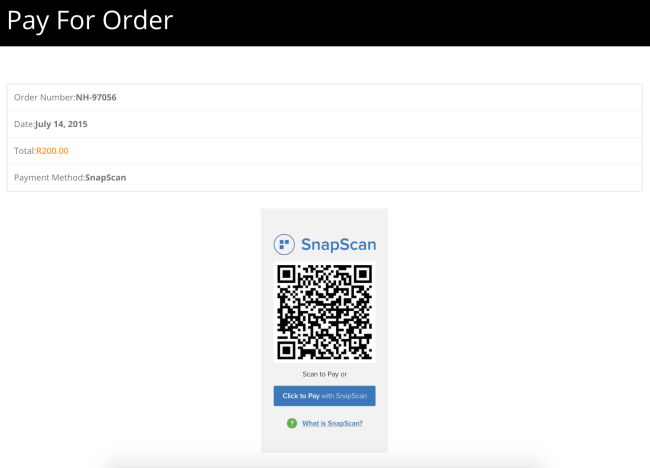 WooCommerce Snapscan Gateway Extension: allows your customers to pay using SnapScan – the South African mobile payments provider. Safer desktop checkout. Simpler mobile experience. SnapScan allows South African customers to check out quicker and more securely with a scan or tap via card details stored on their phone. Customers spend less time in checkout, and more time shopping! 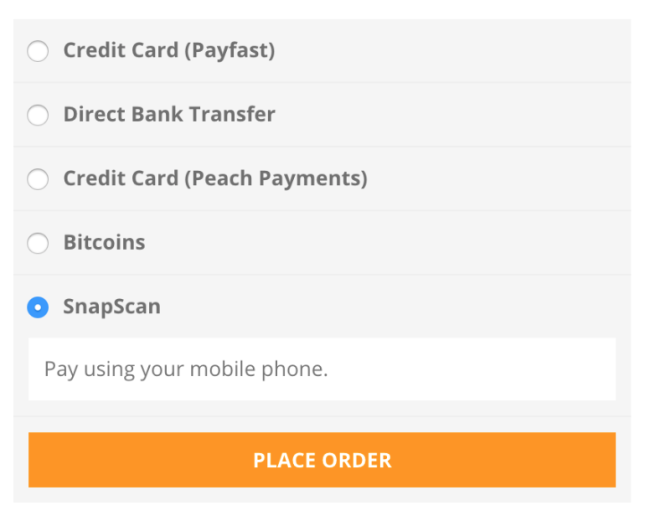 This adds another payment option. 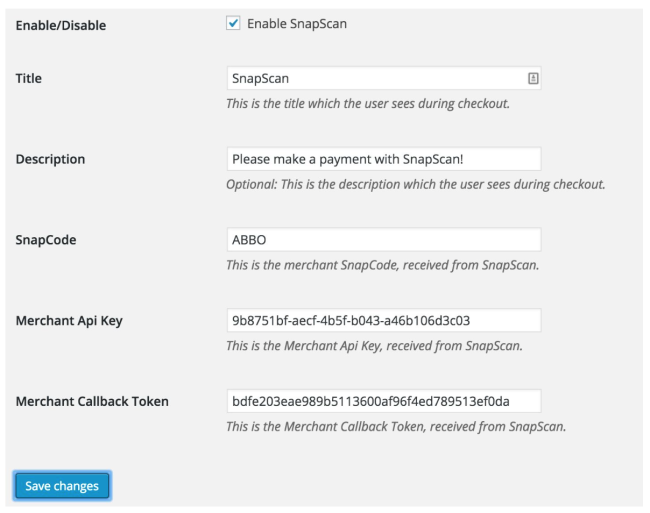 When a customer pays with SnapScan, they scan your code and pay without leaving your site.